I saw so many amazing posts this week. I have a lot to share with you! I was bookmarking blog posts one after the other. I'm so impressed with the creativity of so many bloggers! DIY Polish & More! shows us her rainbow dots nails. polish insomniac teaches us how to smooth out bumpy glitters. Beauty Mamas shares with us her pink and green polka dot nails. Love. Varnish, chocolate and more shows us her vampy gradient. Lacquered Lover swatches some new Avon polishes. 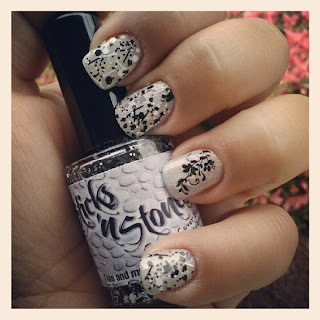 Ice Queen's Nail Parlour shares with us her OPI Fly and China Glaze Riveting nail look. Marias Nail Art and Polish shows us her tropical flowers nails. iHeartPrettyPolish shares with us her Orly Pixie Stix manicure with a flair. Nails in Nippon teaches us how to create tweed nails. Polish Love shows us her neon tribal nails. Varnished Valkyrie shares with us her Jubilee nails. Pretty Little Bottles shows us her beachy stripes nails. Jessica's Nail Tales swatches Amy's Nail Boutique's Cotton Candy. JnJnnails shows us her nail art using China Glaze Four Leaf Clover. Gotham Polish introduces us to CIRQUE nail polish. Manicure Description: I just recently had a birthday(May 14th) and got some polish as presents. I'm slowly working my way through them(I still have some from Christmas I haven't used lol) and decided to try Sinful Colors Dream On with an accent nail of Pure Ice Beware. I have a swatch on my blog if you're interested. My camera seems to hate purples so sorry for the not so great picture, in person it's a tad darker. I also have a question to ask about Sinfuls. Does anyone else's Sinfuls change color in different lights? I have a few other colors that do and I don't know if they all do that, if they're supposed to, or if it's just my eyes playing tricks on me. Favorite Polishes: Hmmm this is a hard one lol. I think I'd have to go with anything Zoya. Right now I'm lusting over the summer collections but my favorite Zoya that I own would have to be Jolene. I wear it whenever I feel like being super girly. I'm also a big Sinfuls fan. If only my mom had the video camera so you all could've seen how happy I was when I got my first one :). You can find information on how to submit your manicures for Sunday posts here. I'm in need of manis for next week and the rest of June! Thank's for sharing my blog Steph! Thanks for this weeks shout out Steph! Thanks for including my blog in the "Posts I am Loving". After seeing how you spelled "flair" I did some research and yes, I need to spell it like that rather than "Flare" - thanks for that too! hehe. I'm loving that black and white mani!! 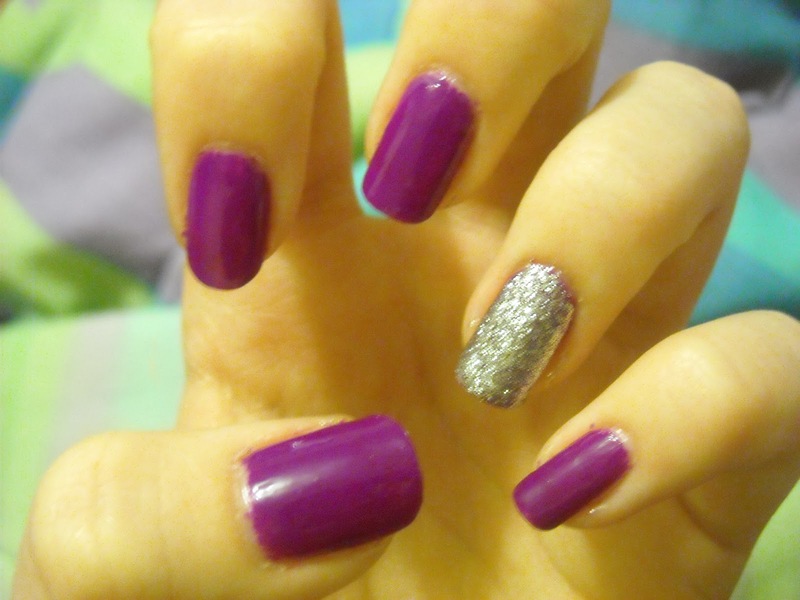 I love the top mani!